Recently our founder and editor Ned Dodington was able to catch-up with Rona Binay, a young designer working in New York and the author of the previously posted project “Coexist.” She was generous enough to share some of her thoughts with him. Below is a transcript of their discussion. ND: Firstly congratulations on the your thesis project. The video is excellent. But mostly, thank you again for sharing your work with The Expanded Environment and your time today. So, just to start things off, how are you [laughs] and how do you think it went? As the author of your project, what has been the public response to your project? RB: First of all thank you and I’m doing well. Well, the thesis project was challenging, but the response has been good. 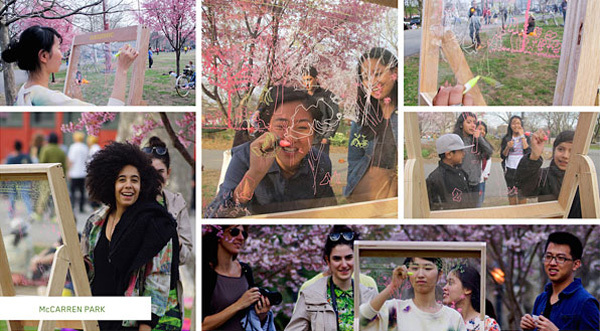 I’ve had some interest from architects, and actually the Brooklyn Botanical Gardens has shown some interest in the educational aspects of the project. But I have also had some responses from friends and others that are asking why… like “why?” Why did you want to work with wild life in a city? Isn’t it kind of odd? So I’ve had both responses which I take to mean that it’s provocative. But most of all I think the response has been positive. ND: Good! I’m curious, maybe you can talk a bit more about the difficulties you might have encountered addressing an animal subject. How do you determine if the bird bath is specifically designed for the sparrow or for a pigeon, or is there even a way to do that? I’m curious if you see your work, more, well maybe that’s a bigger question. Who was the primary audience of the work? Was it for the animal, or was it for the person? Who was your audience and how do you target design for a human or a non-human subject? RB: I think what happened is that most of my education has been about human centered design. I wanted this thesis to have a more holistic vision about design. I think most people react to non-human subjects as seeing them as distinct or not integral parts of the city. Or they are a completely different mater in the design process. And I don’t believe that. I believe that we need a holistic vision. That’s one of the major motivators for me. Do we really need to have this choice between animals or human? It seems artificial. For my audience I’m looking for a kind of a sweet spot where the design could serve both humans and non-humans simultaneously. For example, the street lamp gives light to humans and with a little design change could provide water for the birds. So I believe that it’s manageable to give both. ND: What about some of your design process and prototyping? Were there any other kinds of prototyping steps that you took that were surprising? Did you discover anything surprising during your design process? RB: My process was more observation than prototyping. So I’ve been trying to get information about where the wildlife is in the city. And the most surprising thing, actually was discovering just how much wildlife is in New York. For example I noticed a man in my small park and I wanted to see the action of pigeons eating. I arrived the next day with a small camera and brought food to the park at 7am and there was no activity from the pigeons, they were asleep until 830 am. Then they started to wake-up and then got hungry and the man said that they pigeons get up at 10am which is an interesting kind of information… They have their own schedules. So for the prototyping, when your prototyping with animals you don’t know how they’re going to react and it takes a lot of time and patience to see how they react, which is a challenge. ND: What brought you to this point? 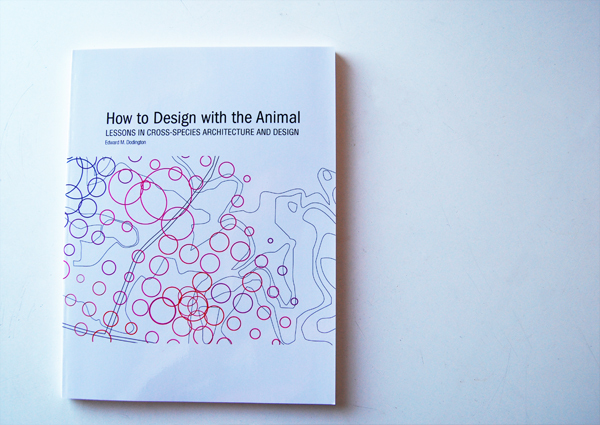 Why the interest with animals and urban ecologies? What is it about your past or your personal interests that brought you here? I have always been interested in biology. As I moved into interior and environmental design I missed the science of biology. And I have passionate interest in biology and as I had the chance to determine my own thesis and I had the chance to focus on my own project I was encouraged to focus on my own particular and personal project. I chose to focus on what I enjoy doing in my own spare time, so I found an overlap between design, wildlife, architecture and urbanism. I started to research about this area more and what has been done and who was working in this area already. After some research I found a lot of great projects, which brought me to meet you and Natalie Jeremijenko and many others and I was fascinated by the area and how rich it is philosophically and I tried the best to combine all these areas. ND: So, you just mentioned the philosophically-rich aspect of this work. This is something that resonates with me and maybe you can just expand a little bit more on the philosophical aspects of designing with animals that you find intriguing or particularly potent. Additionally, where do you think your work fits theoretically or philosophically? RB: The relationship between animals and humans is a topic totally by itself. We love them, we hate them, and we eat them. There’s a political side to it. There are so many sides to this topic. Ultimately, I think we need to see this area as a whole and not to separate humans from non-humans. It makes much more sense if we see this area and talk about it, not in terms of difference, but in terms of integration and make it sustain itself in the long term. So, I hope that we can shift our point of view from “this is this” and “that is that” and start to have a more long term, holistic and integrated point of view. ND: You just mentioned “sustain.” How much of the conversation of sustainability are you interested in having with your work? Obviously there is some overlap, but where do you position yourself and your work with respect to “green” design? RB: The interventions in COEXIST may not necessarily have an immediate effect on sustainability. I see the project as more about to raise awareness and to shift a certain point-of-view in order to have a more holistic vision on design. Adding nature and different species to design process will bring sustainability as an natural act in the long term. ND: So… a question about technology, and your work shows a range of uses of technology. I’m curious if you have any thoughts about how technology interfaces with some of these issues. For example the iPhone app relies heavily on technology whereas in contrast, the tracing project is very low on technology and of course there are certain benefits and interfaces with both systems. How do you feel about technology with respect to your work? How should one engage technology when working with non-human subjects? RB: Certainly technology is part of our lives and as a designer I think it’s important to design for the present as well as the future. So it only felt natural to design for thinking about technology and how we can raise more awareness with it. There’s a potential for technology, in this case the iPhone and an app to extend the body, as it were into the environment in new ways. In my example here, I see the phone and the technology and the app as bringing these two areas, the environment and the body, together and it takes the environment into a digital interface. So I think it’s really important to merge things together. Technology can allow for that merging. ND: So what’s next for you? Are you planning to do more work here? Where is the future of this work and where is it leading you? RB: What’s next for Rona [laughs]? I continued to work with Natalie Jeremijenko and I continue to speak with architects and environmental designers and continue to have the conversation that was started with this work, but I am also working now on my own as a graphic designer. It’s just one of the parts that I was talking about, it’s about matching the different parts of design. This thesis became a part of me but I also continue with my other design work. ND: Is there anything else that we should discuss? Anything that I haven’t asked you at this point that you would like to discuss? RB: Actually if I think about it, I would like to mention the talking with kids about these kinds of areas is much easier than talking with adults, which is interesting to think about. The kids seem more responsive and engaged right away and then the adults become more involved. This is what happened with trace, and the first users were kids and then after the kids the adults became more involved. ND: Why do you think that is? RB: I’m not sure. Maybe they’re more curios and more willing to ask and have more time. And I think they’re more open. ND: I wonder what that means about it. RB: I think it’s about about conversations. More conversations would open this topic up. ND: Absolutely. And what a wonderful note on which to end our own conversation. I hope we have more and that you continue to incite conversations in your work. Thank you Rona for your time today.